You may know her from her countless appearances on such TV shows as Melrose Place, Matlock and The Sentinel, as well as her series regular roles on Dark Skies and Shark. There is no doubt that you know her best for her role as Seven of Nine from Star Trek: Voyager! That’s right — actress Jeri Ryan is my guest this week! Jeri and I discuss how she got into acting, what it is like being on Star Trek, what she thinks about using Twitter, how she likes interacting with fans and her thoughts on her upcoming show Body of Proof on ABC. How thrilled was I when I got the chance to interview Kathy Ireland this week? Yes, the former model and actress Kathy Ireland, who is now also a wife, mother, Sunday school teacher, Chief Designer and CEO of Kathy Ireland Worldwide. The Wall Street Journal recently acknowledged her company as a $1.4 billion design empire. Pretty incredible! In the audio posting below, Kathy and I discuss how she went from supermodel to CEO, how her company works and the very cool Chef Andre. Of course we discuss her use of social media and I also ask her some of the questions you asked via Twitter and Facebook. 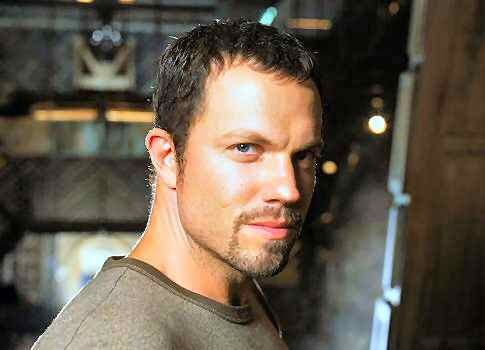 This week, I was thrilled to be able to chat with actor Adam Baldwin. Currently starring in the hysterically funny and intriguing show Chuck, you can catch him every Monday on NBC. Even if you are not a fan of the show, you may recall Adam from his long career in such movies as My Bodyguard, Ordinary People, Full Metal Jacket, Wyatt Earp and Serenity to name just a few. He’s also had many television roles,including Jag, NCIS, Angel, Bones, X-Files and, of course, Firefly as Jayne Cobb. Thanks to everyone who submitted questions. I only had time for a few and I did give you credit! Don’t forget — you can follow Adam on Twitter…just click here to do so. Meet Ryan Osborn. Ryan started as a Page, moving on to becoming a Production Assistant and now holds the role of Director of Social Media at NBC News. That’s right – Ryan gets to work with the NBC News teams and implement Social Media strategies. I would call this a dream job! Ryan found time in his very busy schedule to discuss the use of Social Media at the network. You can learn more about Ryan here. Listen to the audio version below or download a copy of the interview transcript. This week I was able to finally catch up with Lou Diamond Phillips. Lou was kind enough to take some time out of his busy schedule of filming of Stargate Universe to discuss his career, Twitter and the amazing SyFy show Stargate Universe. This was my first time using Skype to record it, so let me know what you think of the sound. As well as doing these type of interviews. I do plan on transcribing it and putting it up. I do need to work on my audio editing skills. Help Me Interview Lou Diamond Phillips! Last year, I spoke at the 140tc in Los Angeles and had an amazing time. One of the best panels there was a celebrity panel put on by Dr. Drew. He lead the panel of: Tony Hawk, Loni Love LeVar Burton and others to discuss how they use Twitter. Afterward, I got to spend some time with Dr. Drew. I discussed with him, one thing that he had not asked. “Why they use Twitter and what is in it for the celebrity.” He agreed and stated he had tried to get them to comment on it, but none of them would go there. This has always stuck with me. So, that discussion has taking me here to this. Something I want to try. Interviewing others about their use of not just Twitter, because there is more to social media then just Twitter, but social networks, online branding, blogging, communities, and lots more. I started by producing an interview with Heroes creator Tim Kring using Second Life last month. I moved on to a short interview with Yvette Nicole Brown of the tv show Community. Which brings me to the next interview I am going to do with actor Lou Diamond Phillips. For this interview, I plan on recording the interview and posting here on the site. Nothing daring or out of the box I know. What I want to do is ask questions about his use of social networking sites, interactions with his community and such. …But I need your help! – How and why he uses Twitter. -His online interactions with fans. -Why he is not on Facebook. -Maybe about his SyFy tv show Stargate Universe which just finished season 1. I need your help to make this awesome! So bring it! So leave a question here, send me a Tweet, leave it on Facebook.. heck email me. I will need them by June 25, 2010 and of course I will give you credit for the question! Thought I would share this interview I produced for Second Life last month. This will created complete in the online world of Linden Labs, Second Life. My good friend and radio personality Hooman Khalili did the interview. It was really fun and Tim Kring was a great interview. Yes, some would say virtual worlds like Second Life, have.. “Jumped The Shark”. I have to say getting the instant feedback from the audience and questions, made it really fun. What do you think? Are interviews with avatars a waste?